This is a Japanese movie titled An. An is sweet bean paste used for Japanese cakes. 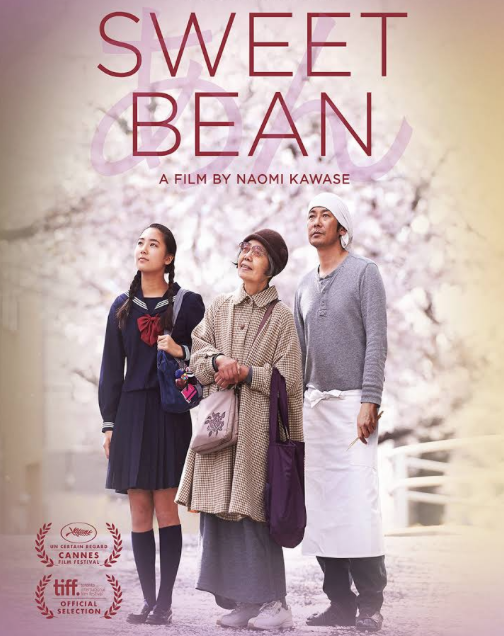 Released in 2015 in Japan, it was recently shown at cinemas in Auckland, and my husband and I went to see it at Matakana Cinemas. The movie is the antithesis of Hollywood blockbusters. It’s slow. It’s quiet. There is no drama in that no one yells or cries (the main character, the baker almost does.) No one is aggressive or mean. Hence, some viewers may find it a bit boring. But the cruel truth seeps into your mind and makes you well up. The quiet desperation and hope hits home. When you are frustrated and tired with your work and work-related politics, or if you are carrying a burden you can’t shed, please watch this movie. This is one of those movies that stay with you. My take-home message is that just being and listening is worth living for.